We caught up with Coldwell Banker D’Ann Harper, REALTORS® in Texas to hear how they have been empowering women for nearly 30 years. President and broker/owner Leesa Harper Rispoli shared advice for marketing a female-owned business. Leesa Harper Rispoli grew up watching her mother run a business from their dining room table. With a high school diploma, D’Ann joined the real estate industry 40 years ago and built her business from the dining room table in her home to one of the largest in the Coldwell Banker network. Currently, Coldwell Banker D’Ann Harper, REALTORS® has nine offices and 425 agents, who serve 7,500 square miles in South Texas and San Antonio. A former teacher and education administrator, Leesa joined the company in 2008 and became president in 2016. Today, her company is thriving. In the last two years, they generated more than $1 billion in sales volume and they are on track to have another successful year. Leesa attributes her success to leading with the values and business acumen that her mother taught her. Here’s how Leesa runs and markets her business. Leesa is proud to lead a company that feels like a family. She helps agents hone their business skills by offering training, marketing, and other tools. She also supports them in their personal lives. Leesa’s vision isn’t about being the biggest company; it’s about being the best – and always operating with integrity. In an industry where two-thirds of agents are women, you’ll attract top talent by building a supportive company culture and positioning your business as helping women succeed. 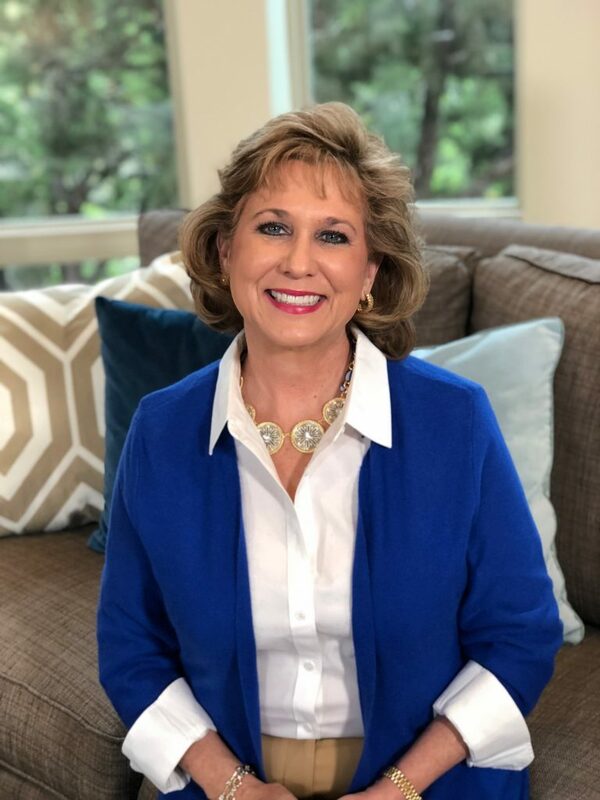 As an affiliate of Coldwell Banker for nearly 30 years, Coldwell Banker D’Ann Harper leverages the power and resources of the 112-year-old, iconic brand. The company uses the brand’s national marketing resources to take high performing agents and turn them into dominant winners. Recently, the brand was recognized as a “9 out of 10 Consumer Recommended Real Estate Agency” by Women’s Choice Award®. Coldwell Banker D’Ann Harper promotes the Women’s Choice Award in sales presentations and on the digital screens across its nine offices. They even leveraged the award to nominate Leesa for the San Antonio Business Journal award (which she won!). Because of her strong view on leadership and her insights about running a woman-owned company, Leesa was featured in videos for the global Coldwell Banker network, Coldwell Banker is Home To: Women Leaders and Why Coldwell Banker – Leesa Rispoli on Family Culture. And her company amplifies these videos on YouTube and Facebook. “There’s an unspoken reality that many women experience misogynistic behaviors in the workplace – what I call ‘Good Ole Boy-ism,’” said an agent from Coldwell Banker D’Ann Harper when asked why she joined a woman-led company. “A male boss takes all the guys to lunch and leaves the ladies in the office to answer phones. Often, women don’t want to complain, so they stay quietly behind.” This is an unfortunate reality for women across many industries, not just real estate. We can support women in business by recognizing where there’s a female leadership gap and championing women who aspire to top leadership positions. Leesa says it is challenging to be a female-owned business in San Antonio today, let alone when her mother started the company 40 years ago. Texas ranked third worst state for women’s equality according to a recent report by WalletHub. That is why she makes it a priority to support the women in her company. Even though San Antonio is a major metropolitan market, Leesa only knows of one woman-owned building company. As a woman who owns a business and has staff and agents who are 88% female, Leesa says women must bring their very best “A game” when working with the male-dominated building industry. We must continue to celebrate women who lead businesses. In August, Leesa was recognized by her community’s business journal as one of 10 women who received the prestigious San Antonio Business Journal 2018 Women’s Leadership Award. D’Ann Harper received the award herself in 2011. Leesa and Coldwell Banker D’Ann Harper, REALTORS® contribute to the power of the Gen Blue network by empowering women and marketing their female-owned business. We, at Coldwell Banker, are committed to ensuring our brand inspires pride among our network, our clients and our industry. To find out more about how Coldwell Banker Real Estate can be the place that supports you, visit cbwomen.com.